and more best selling games! 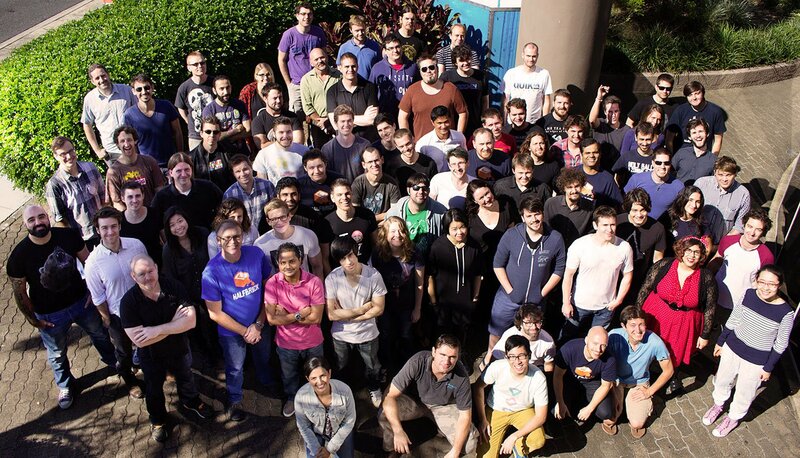 Founded in 2001, Halfbrick has been on the forefront of the Australian game development industry for many years. From humble beginnings developing licensed titles for platforms such as GBA, DS and PSP, we have expanded our portfolio with a range of hugely successful, independently released games on multiple platforms. With the success of Fruit Ninja on iPhone and iPad, Halfbrick has catapulted to become one of the most well known indie developers in the world, proving that a little dev down under has the world class skills needed to make a big splash on the global market. It’s a long story – a boring story for some, a riveting story for others. Either way, know that Halfbrick is here to stay with its fun, unique and innovative titles on a range of platforms. Check out our latest titles on our games page.